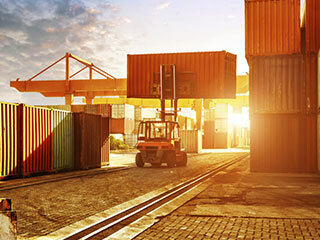 We coordinate and plan strategically customs and transport logistics for the importing or exporting needs of our clients, whether to export goods to Mexico or to from Mexico to anywhere in the world. We facilitate the interaction with customs, and we promote thus the growth and development of our clients’ business. We become an extension of our client’s Human Resources Department in order to offer support in the intelligent staff management through concrete, planned and professional interventions. Our priority is to team up with the customer and to provide them advice on the correct and timely compliance with existing regulations in Mexico, and help with the administrative processes. We offer the advantage of focusing on business operations and of lightening the task of finding staff, all this with the direct help of a group of professionals backed by the experience and the prestige acquired throughout more than two decades. Advice on the correct compliance with existing regulations in Mexico and help with the administrative processes. We coordinate and plan strategically customs and transport logistics for the importing or exporting needs of our clients. We become an extension of our client’s Human Resources Department. With over 17 years of experience in Business Consultancy, we are here to help. The group begins in the city of Hermosillo in the late sixties as an office led by the Public Accountant Carlos Parada Muñoz. It offered accounting, tax and audit services to various local companies. In the early eighties, with the idea of complementing the services of the office, the group begins to provide private advisory for businesses and mining companies (support for calculating duties on mining concessions and management of payments to suppliers, such as the Treasury). A graduate of the bachelor’s degree in Industrial Relations. In 2006 the group implemented him as head of Human Resources. She joined the group in 1987. She has a degree in Communication Sciences from the University of Sonora, where she graduated in 1991. With studies in International Trade at Kino University, he joined the group in 1999. Graduated in 1985 with a bachelor’s degree in Psychology from the University of Sonora. She practiced her career until 1994, when she joined the group to develop the area of Traffic and Customs, where she specializes in mining companies. He joined at the beginning of 1993 as an intern in Accounting, and took over Tax Refunds services. He graduated from the University of Sonora in 1996 and continued his professional training to obtain his Masters degree in Tax Law.